Raiden was Pacific Outdoor Advertising’s construction supervisor in charge of rebuilding the Hollywood Sign in 1978. In order to perfectly replicate the original, Raiden personally measured each letter of the old Sign; he has blueprints and pictures to prove it. 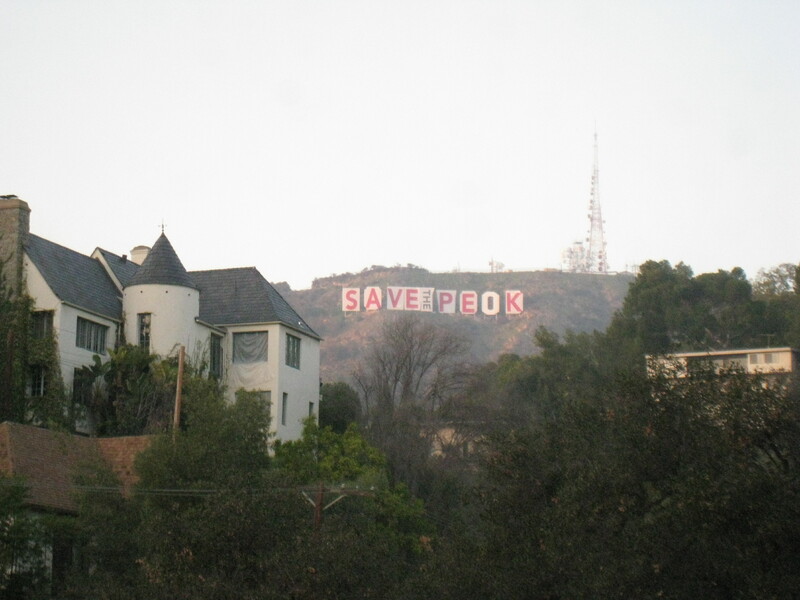 Rather than go to all that bother again, the organizers of “Save the Peak” simply contacted him for the specs, and voila!–Sign covers. Raiden doesn’t think they looked all that great either, but at least they fit. Happy Birthday, Under the Hollywood Sign! A year has passed since I started this blog–something I did by accident in an attempt to create a new website for my documentary, “Under the Hollywood Sign.” While I soon discovered WordPress wasn’t ideal for the website (the eventual result can be seen at www.underthehollywoodsign.com), blogging has proved the perfect outlet for my research and writing on Beachwood Canyon’s history and present-day life. Over the past year, Under the Hollywood Sign has allowed me to delve more deeply into the topics explored in my documentary and to branch out into other areas. I’ve thoroughly enjoyed the work of researching, writing and photographing these pieces and have been gratified by an ever-increasing readership and some interesting comments. There’s plenty more to come. In the meantime, thanks to all who’ve visited. 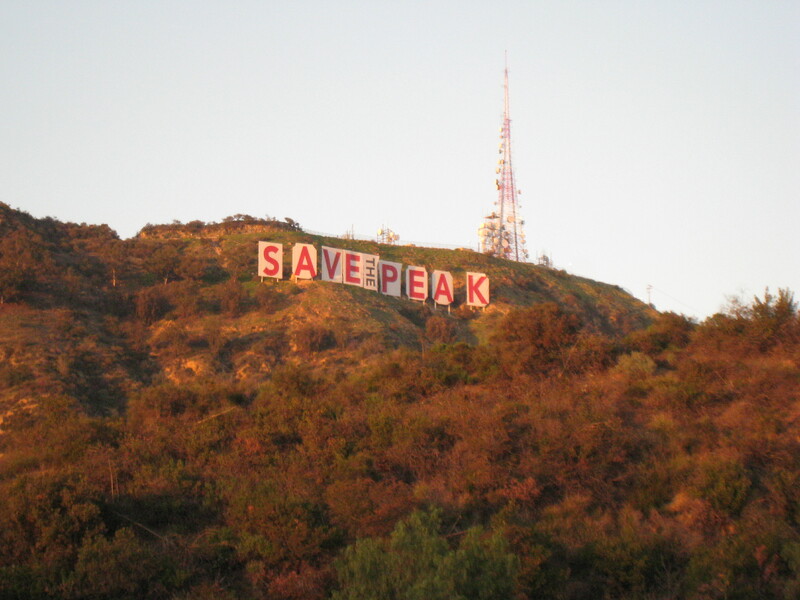 SAVE THE PEAK is gone from Mt. Lee. Under the Hollywood Sign was driving home this afternoon when she saw the last two covers come off, revealing those reassuring white letters spelling you-know-what. Bring on the tour buses! 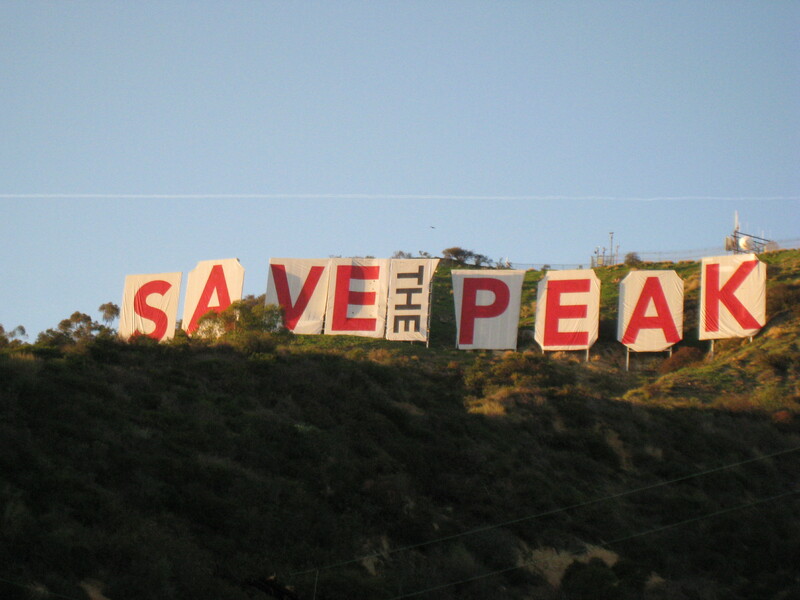 The Hollywood Sign now reads SAVE THE PEAK, an alteration that fulfills the Sign’s original function as a billboard. But the transformation has been crushing to the tourists who normally throng Beachwood Canyon to take pictures of the Sign. When the project began, some reportedly asked for refunds from tour bus drivers; now, two days into SAVE THE PEAK, there has been a dearth of open vans taking tourists up to Canyon Lake Drive, loudspeakers blaring. Thanks to their absence, Hollywoodland has been especially peaceful this Presidents’ Day Weekend. 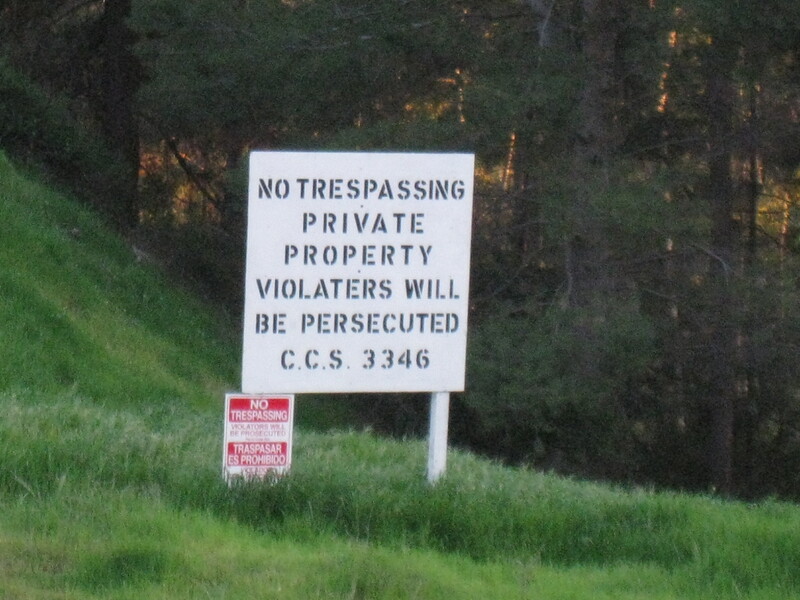 Now if Under the Hollywood Sign could just do something about her noisy neighbors, she’d be in heaven. 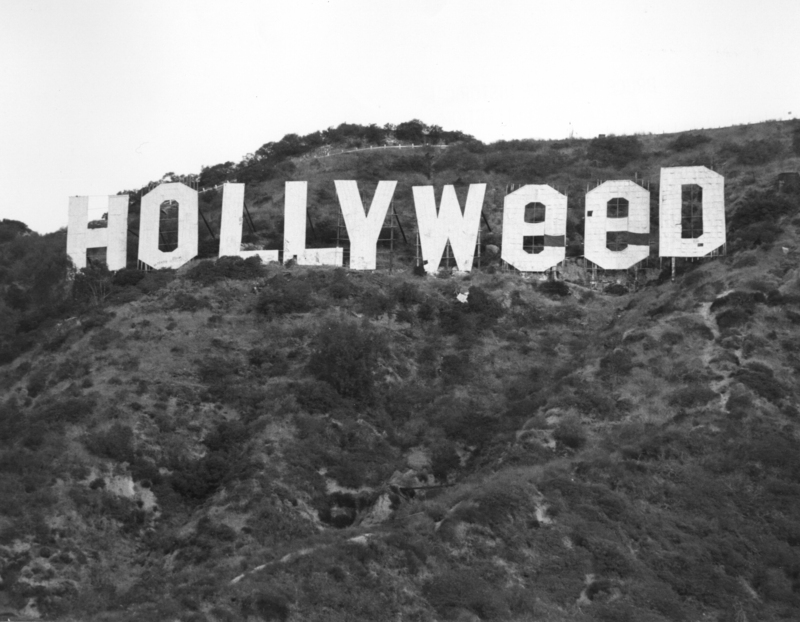 Ironically, the illegal alterings of the Sign in decades past were all accomplished overnight. For those who are interested, this is the piece that was shown at the Art Institute of California-Hollywood last fall. It appears in two parts on my YouTube channel. 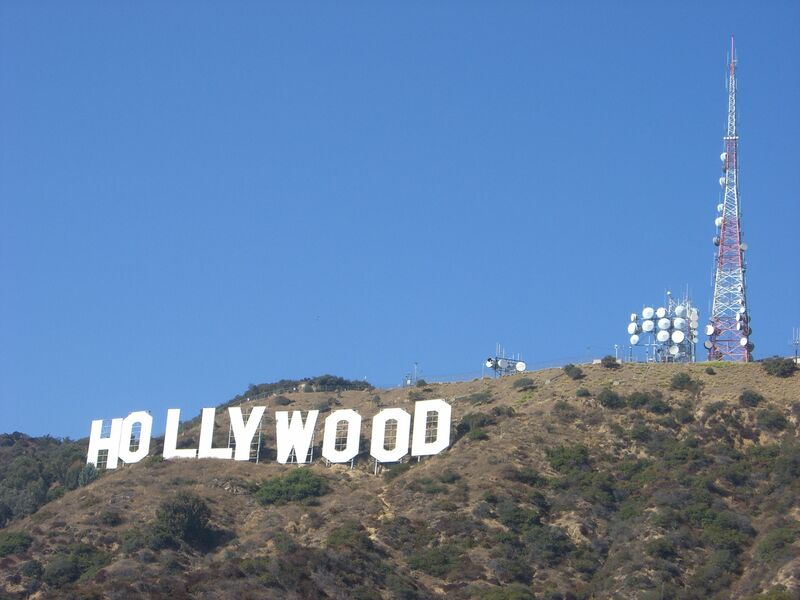 You are currently viewing the archives for February, 2010 at Under the Hollywood Sign.